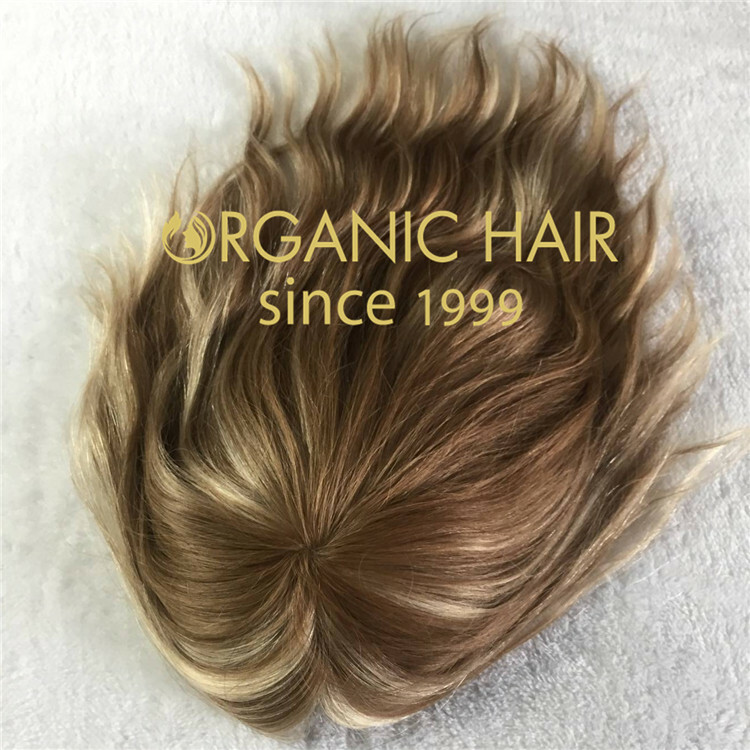 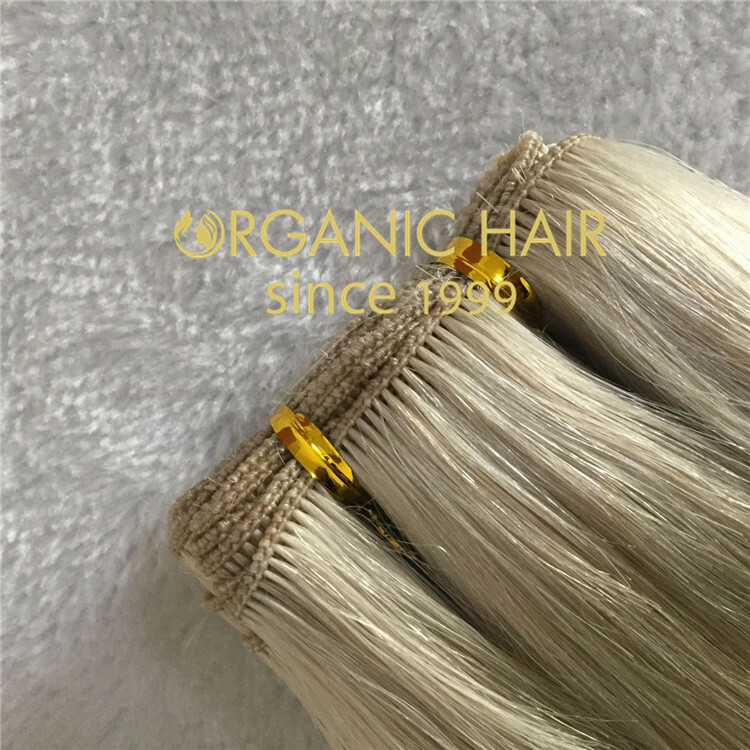 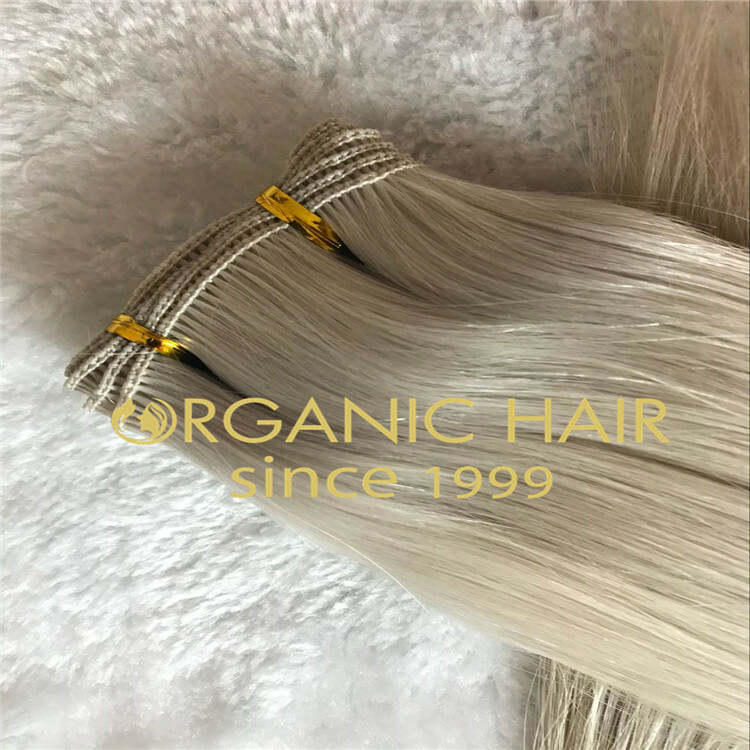 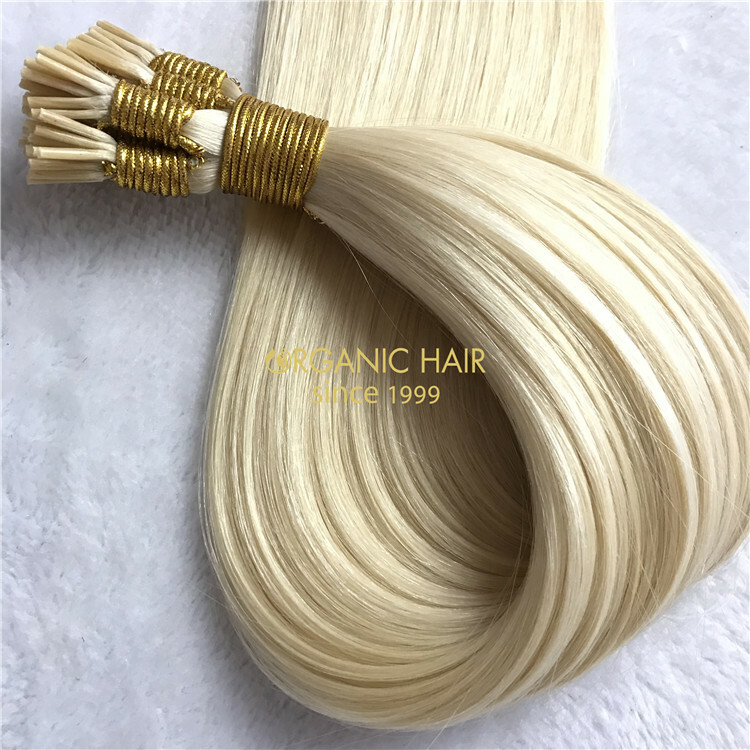 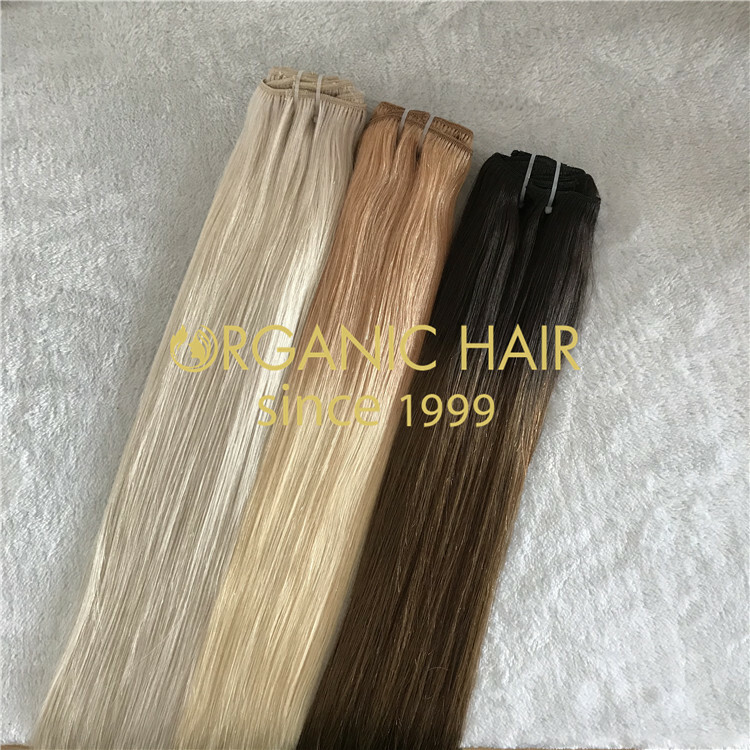 The hair that we choose is high grade person hair, corneous layer is complete, direction is consistent, wont tangle.Double weft sewing is adopted for hair, and Korean high quality weft glue is used for high strength to avoid shedding. 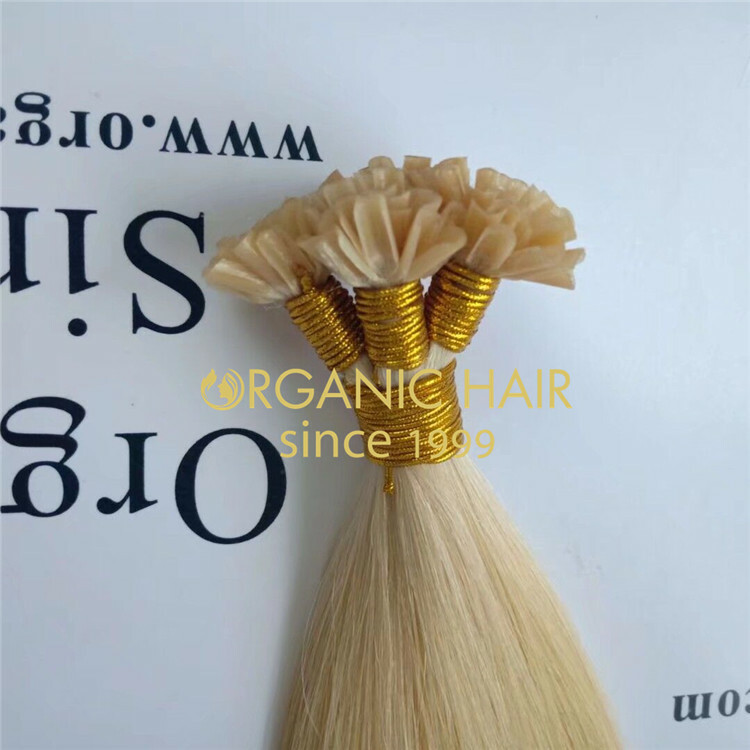 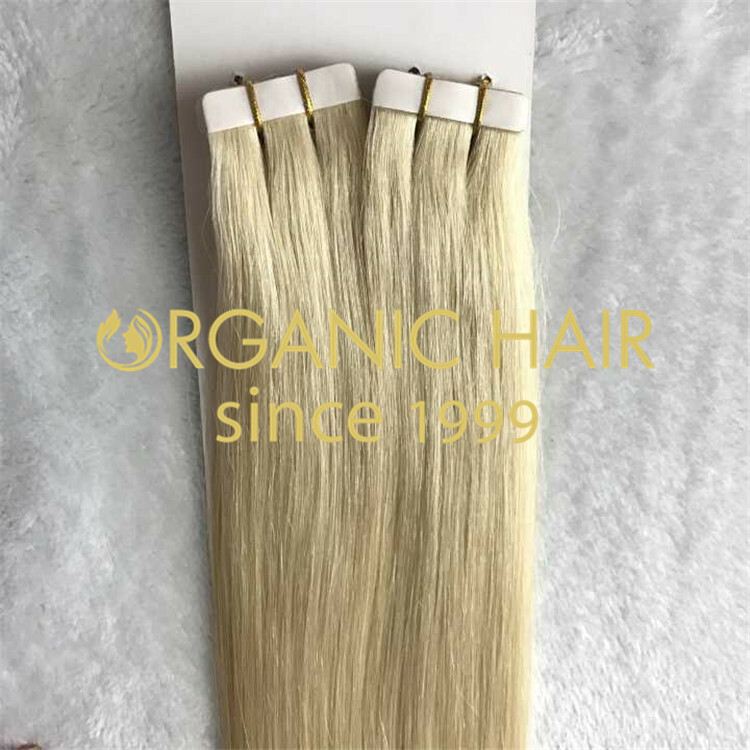 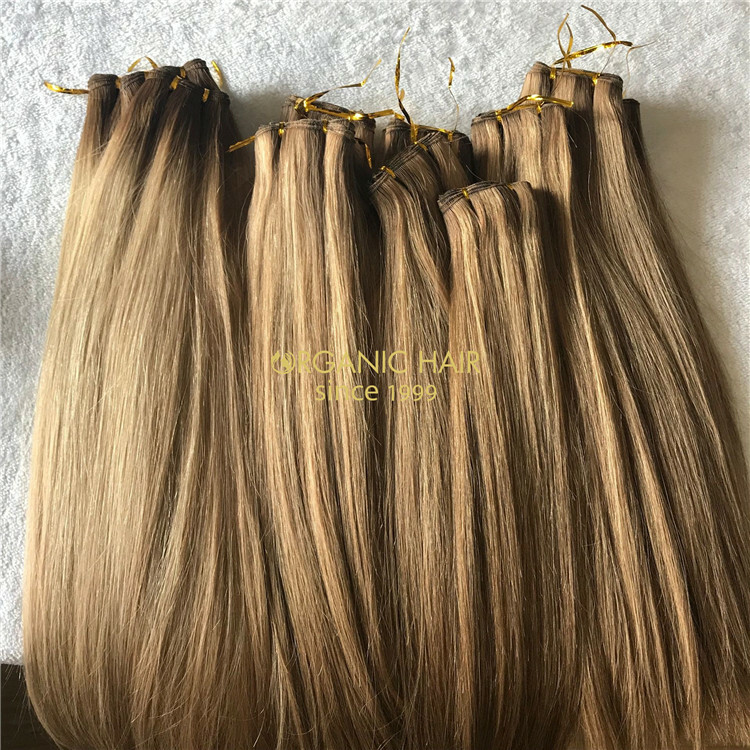 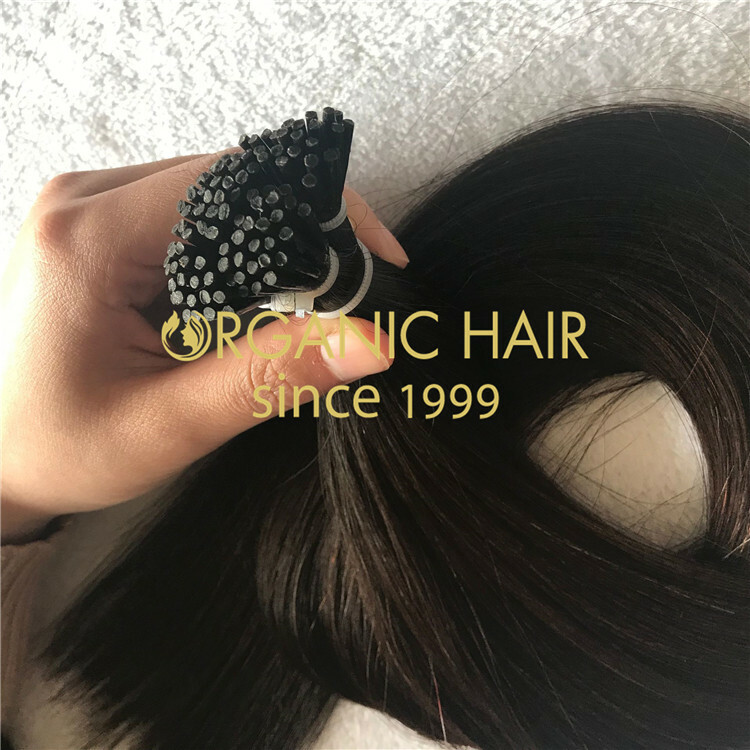 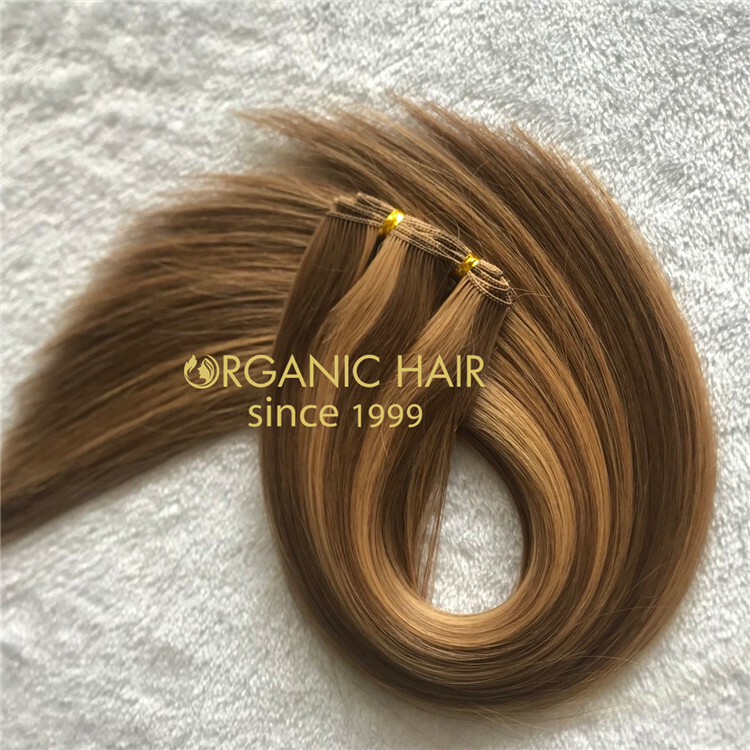 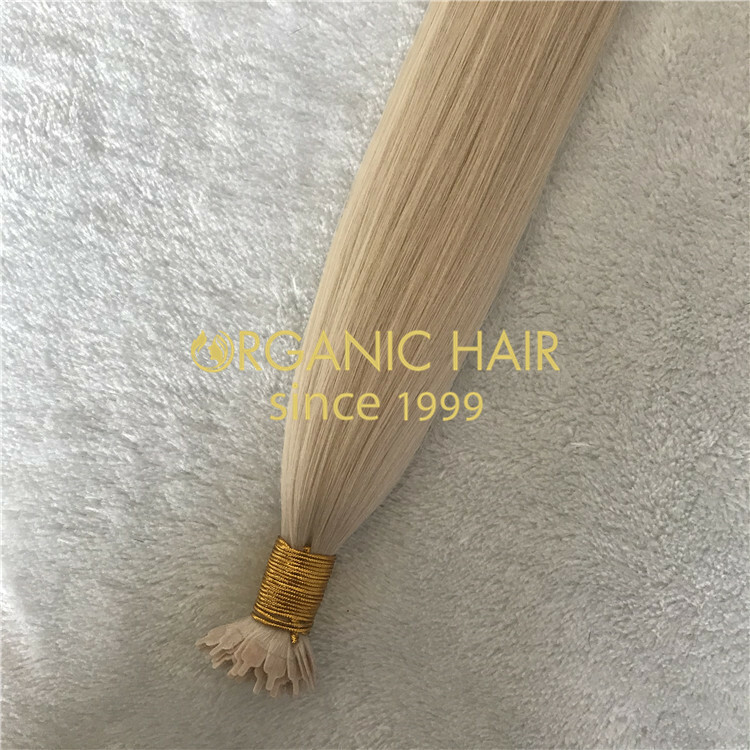 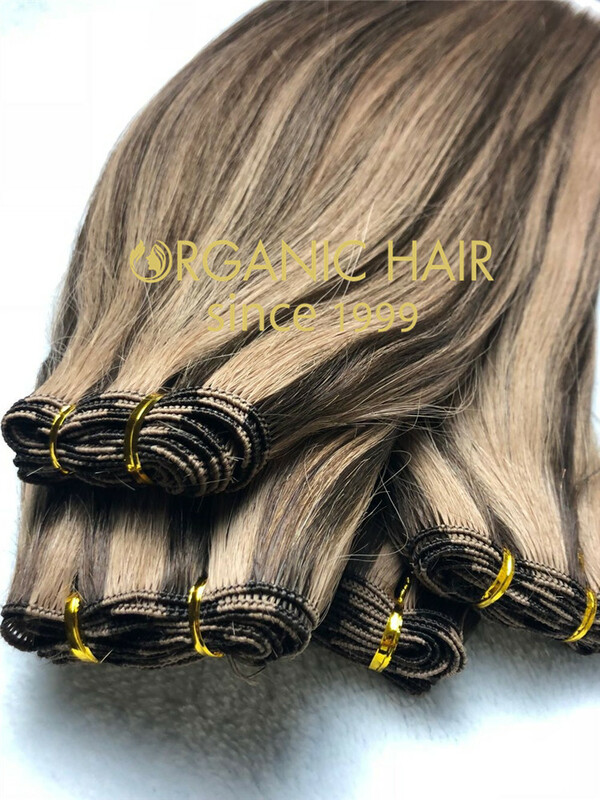 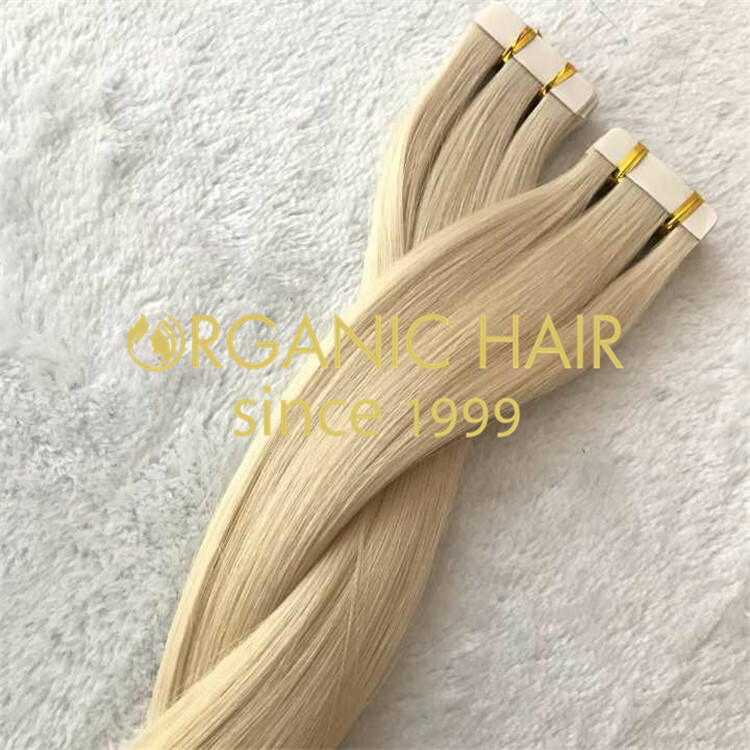 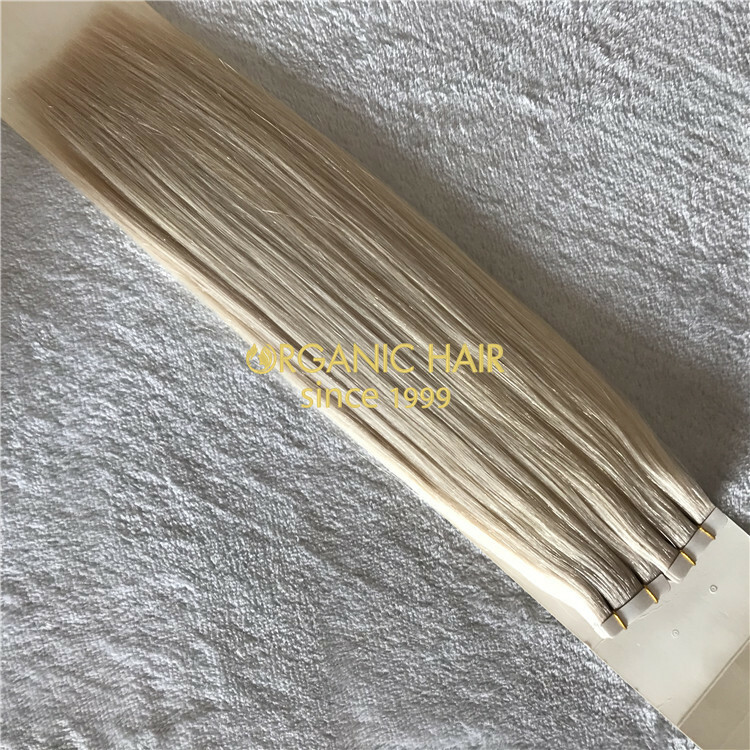 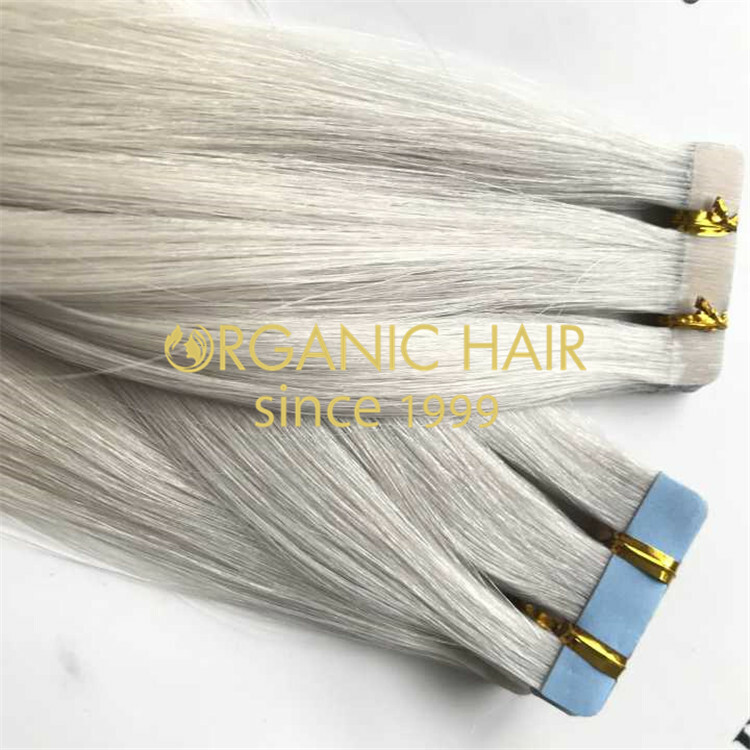 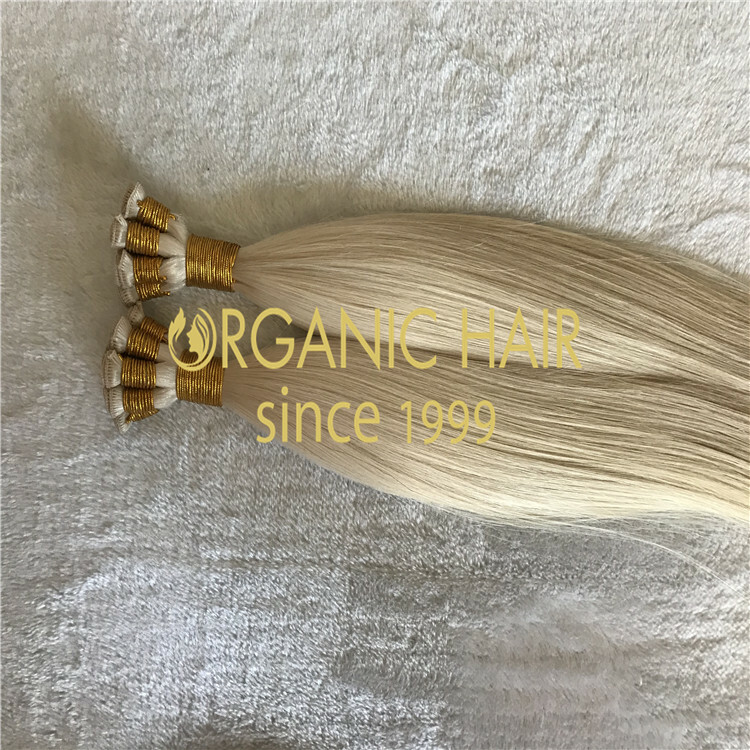 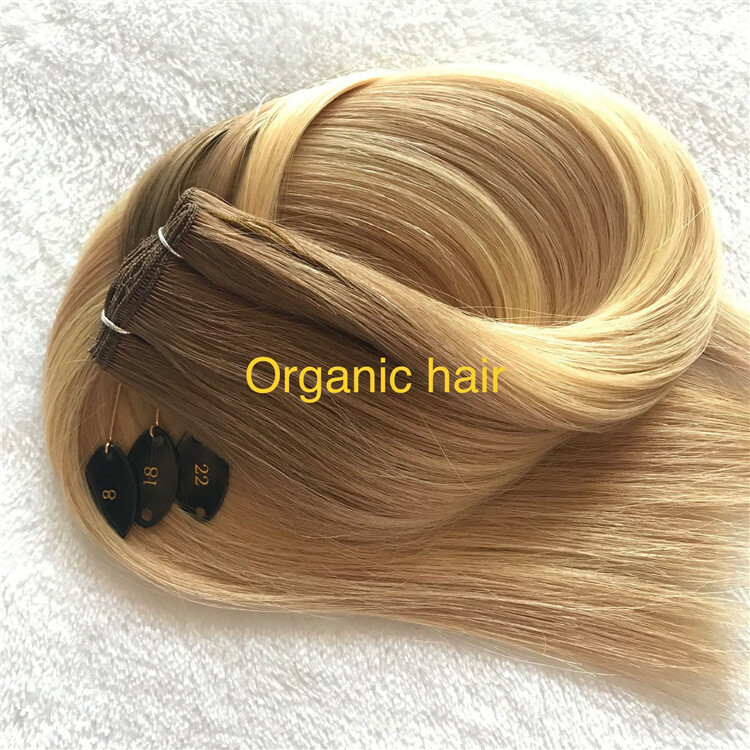 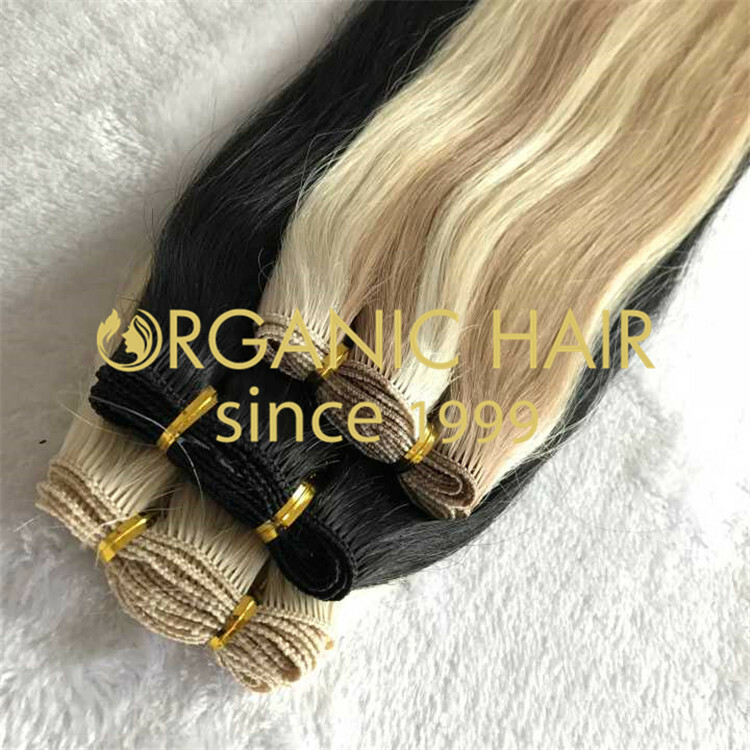 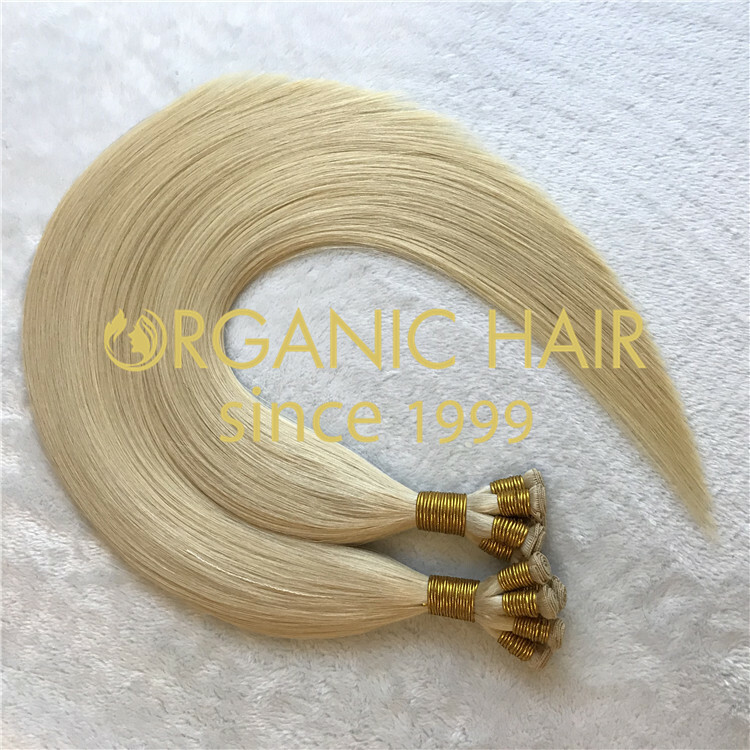 Now keratin flat tip is very popular hair extension product, we use 100% human remy hair to produce flat tip to ensure product quality, we support customization, customers give us good reviews. 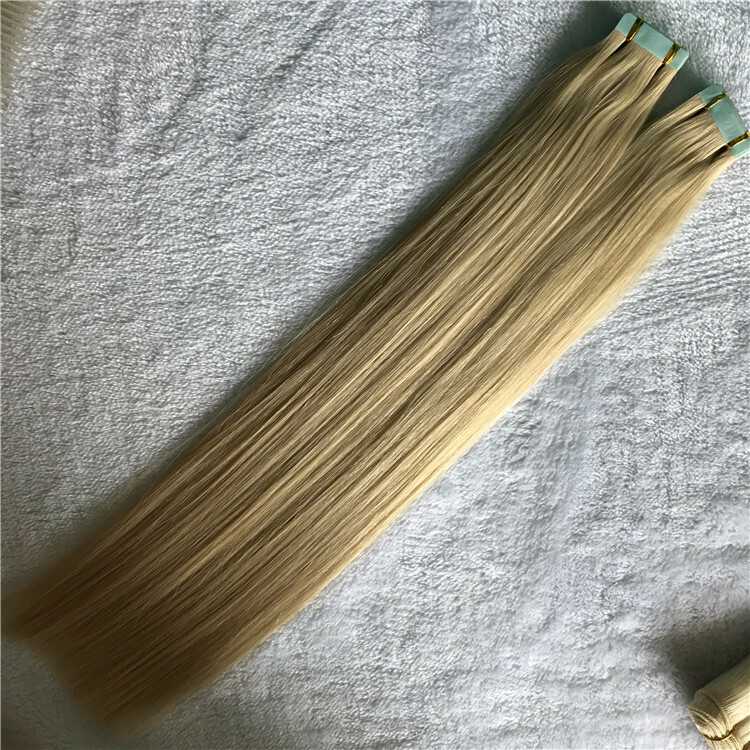 Ash is (literally) the coolest shade of blonde around. 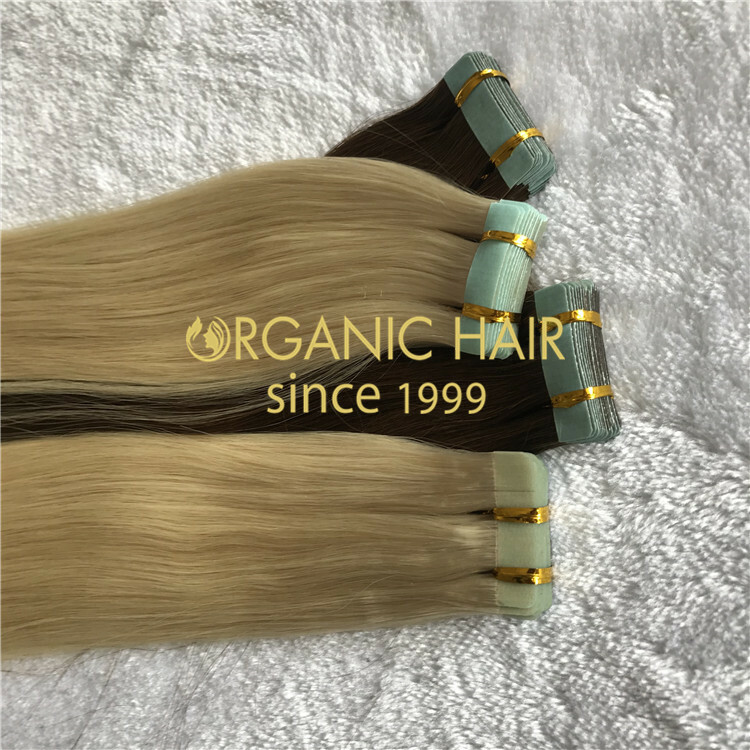 Whether you opt to go platinum, embrace visible dark roots, or land somewhere between grey and blonde, you have lots of options.we offer very good remy hair on tape ins! 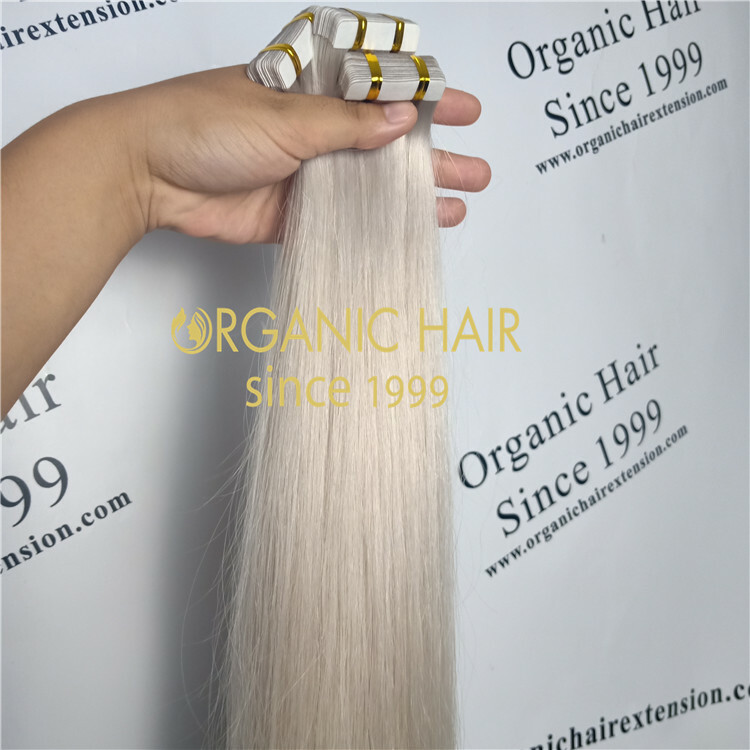 Itip hair extensions is the current mainstream product. 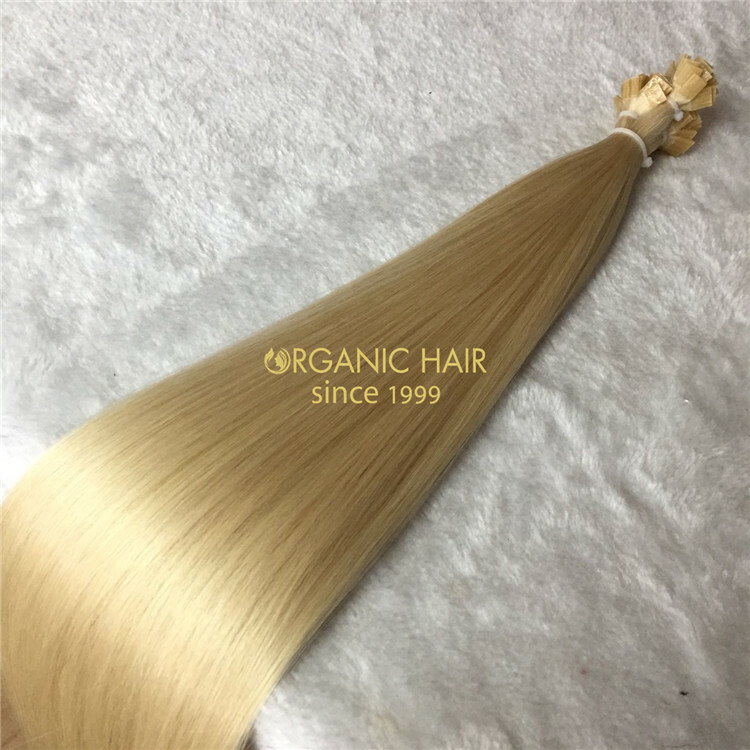 Many US and UK customers buy from us. 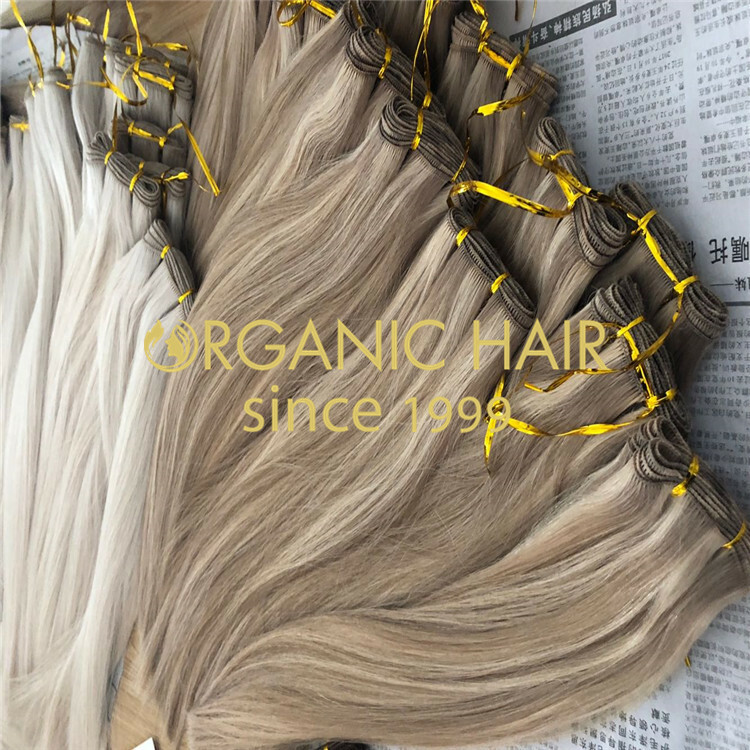 We can provide customized services and customers give us good feedback. 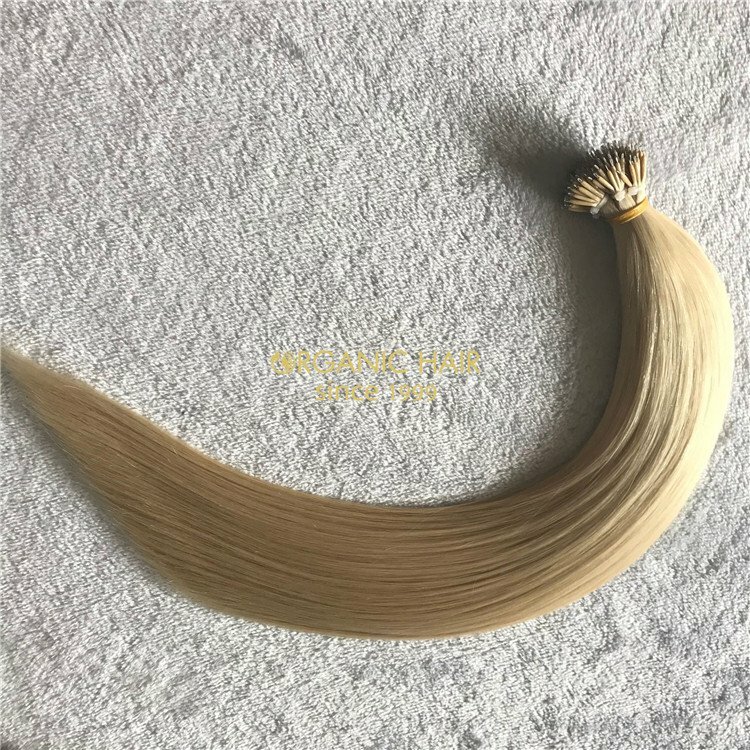 I would like to share with you ash blonde and balayage hand tied weft hair extensions ( rdered by a customer of America.) 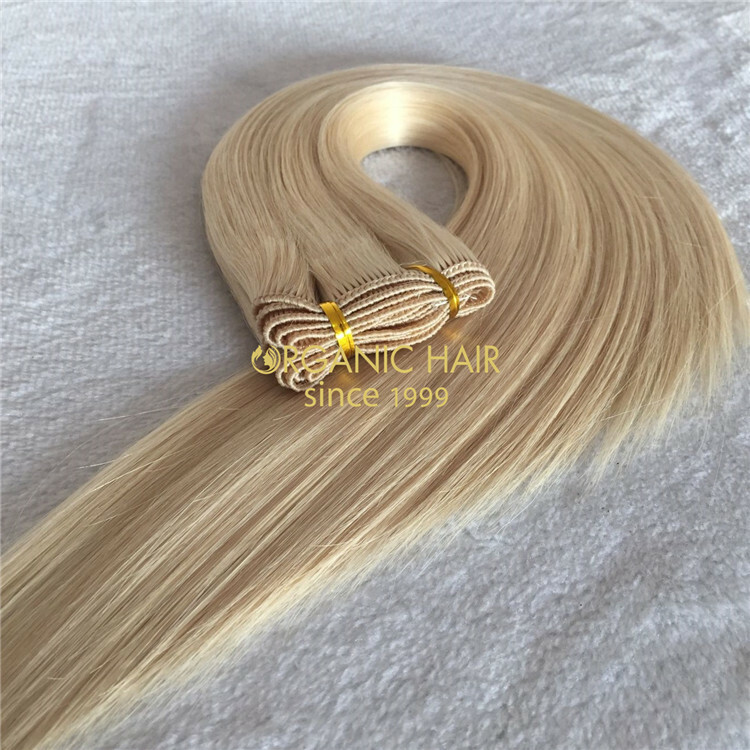 Very thin, very flat, very small knot!Hair lasts for two years!if you are interested, contact me quickly! 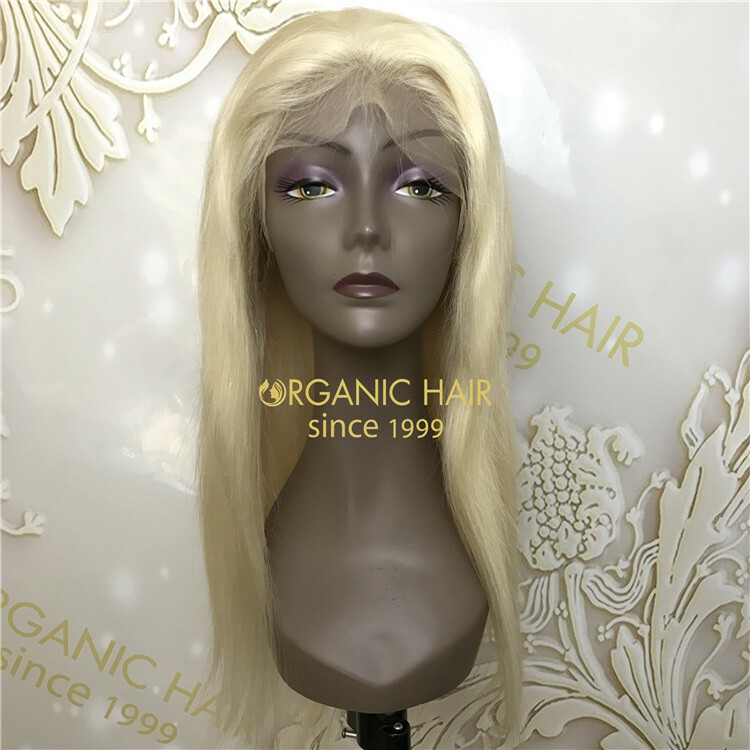 Organichair has always been providing customers with high quality human virgin hair full lace wig. 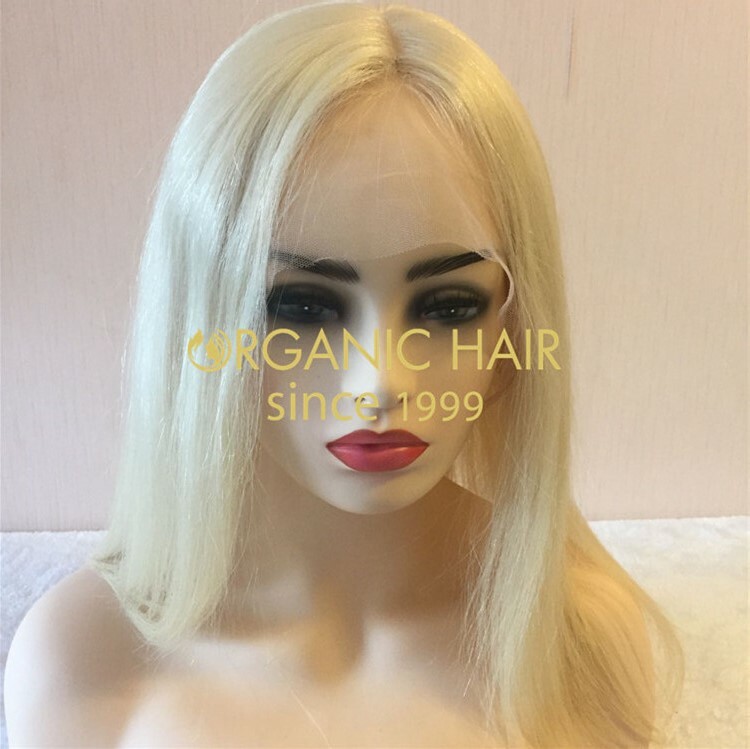 We are very good at high density full lace wig, 150%-300% density is no problem, our customers give us good feedback. 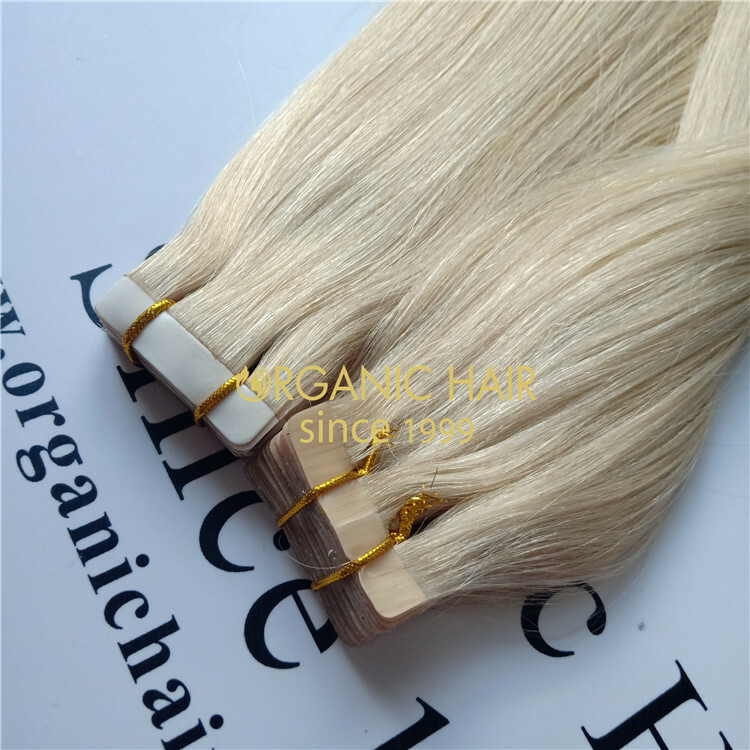 Tape in hair extensions is hot sale in Hollywood ,it is super stars favorite can make your hair full and long.Be a fashion girl can make you hair shiny and glam. 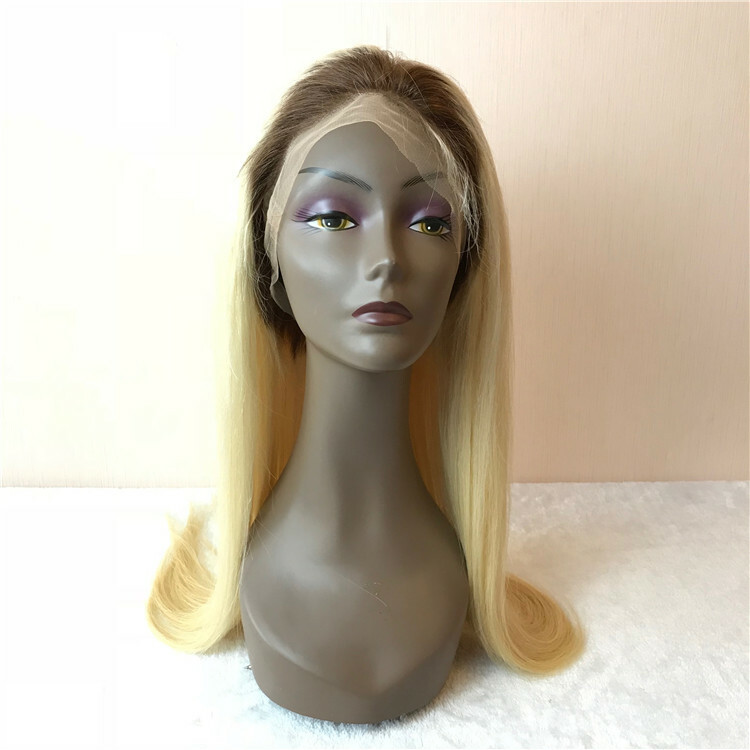 Do you want a nice puffy full lcae wig?